A horse will never let you down ! The horse is known for his loyalty to his master. The combination of man and horse, animal that has perhaps the most marked the history and progress of mankind, lasted several millennia during which the horse becomes the auxiliary favorite of the man for transport, war and labor. The first meeting was in perhaps a million years or more. But, in 20th century, the civilization of the horse ridding, quasi-universal and thousand-year-old, disappears. Formerly a means of transport, the horse took a gallon by becoming therapeutic mediator! Already in the fifth century BC. The Greeks had understood the therapeutic properties of animal.The therapy with the horse was created in the 1980s in France, under the influence of Renée Lubresac to highlight report complicity between the horse, the patient and therapist. According to her, the horse is a fabulous tool with people with disabilities or people with physical or mental suffering. 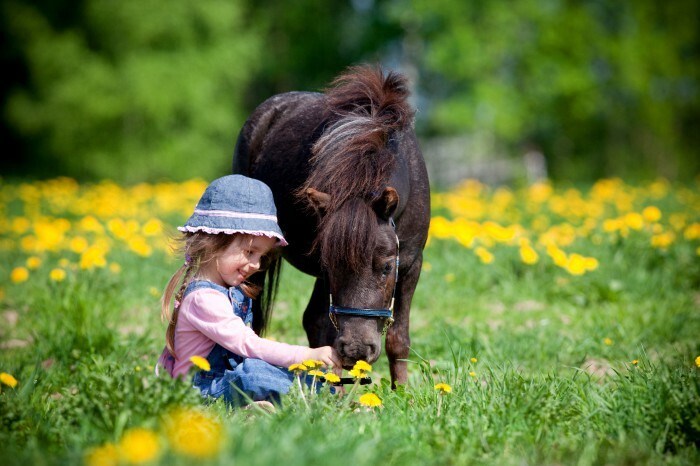 The horse has unique qualities that make him an excellent therapist mediator: it is soft, warm, socially rewarding. It is a very attractive partner, not only for its nobility but by the relational possibilities of exchanges (both physical and emotional), porting, non-verbal, tactile sensations, smells, that ... 'it offers. It is non-judging and without a priori with difference, it is sensitive, real, alive. The horses know our example detect hormonal and emotional changes. Their presence with us teaches us the strength of a relationship built in the moment. When asked the owners about the qualities of their horses, they answer almost all the same: nice. Then it depends : friendly , cuddly , lively, voluntary, intelligent, responsive, generous , etc. In all , the horse is a friend who will never let you down . Respect this friend is also taking care of him by buying a saddle that will not hurt it. You can find fine used saddles at Equitack.